Hi!!! It’s been a while since my last post, but I promise I’ll make up for being MIA the past weeks… starting today. My brother (he’s been on spring break for the past 2 weeks) is heading back to school, so we decided to go out for a fairly nice dinner to bid him farewell. He hasn’t been to the L+ mall yet, so that’s where we went. Let’s go! 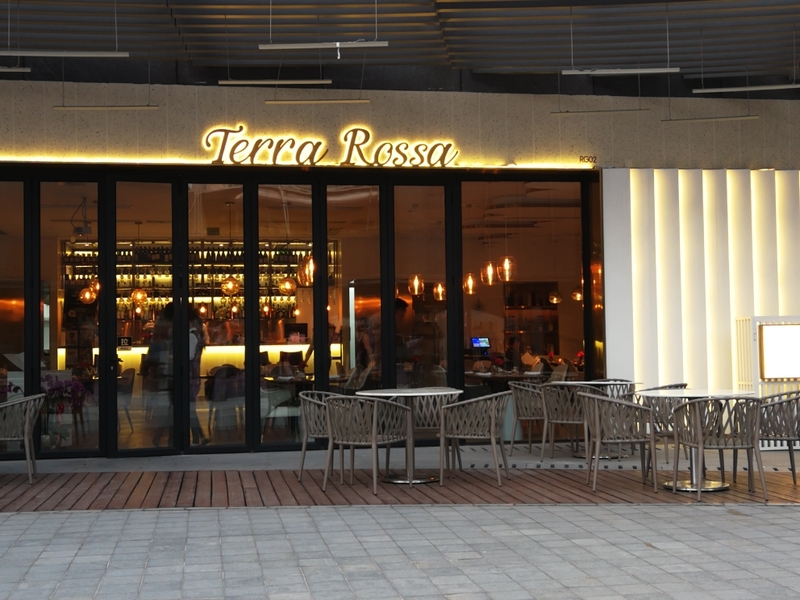 Terra Rossa is a pretty upscale Italian restaurant on the Roof Garden. 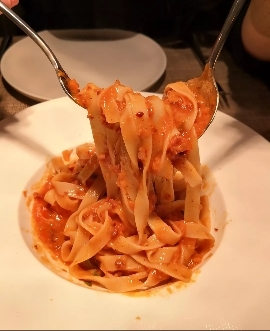 Italian restaurants in Shanghai are pretty hit or miss and I’m not a fan of the pasta, pizza, oil heavy food that dominates; however, it’s been WAYY too long since we’ve touched “Western cuisine”. Plus, ratings were high. I decided to take the risk. I’d usually do more “research” on the restaurants I choose, but there really wasn’t much. Anyways, here’s how it went! 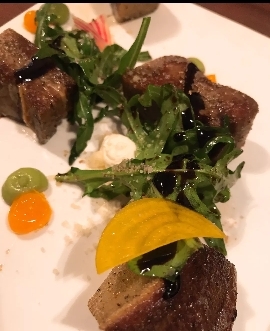 Grilled Ox Tongue with Creme Fraiche and Avocado Mousse- Ox tongue is a deliciously fatty cut that is pretty hard to overcook, but Terra Rossa’s took tender to another level. The meat practically melted in a rich, perfectly seasoned beefy layer upon entering my mouth. The slightly sweet vinegar glaze provided the perfect acidic counterbalance. 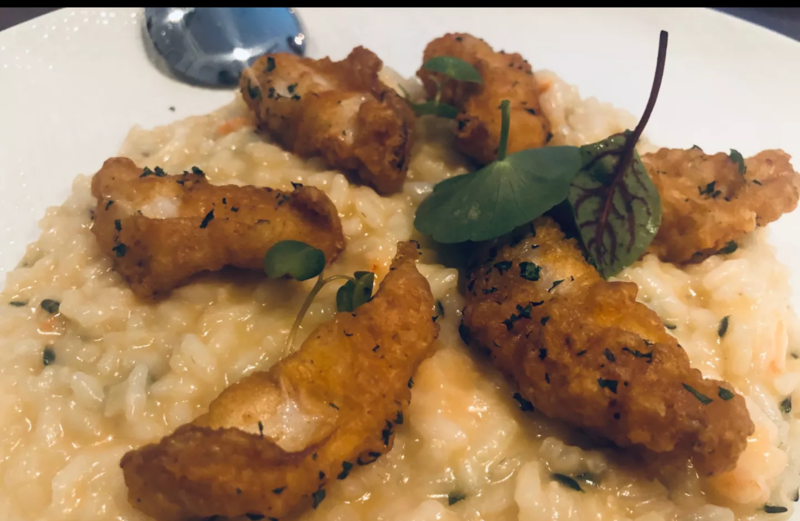 Atlantic Cod Risotto- My dad isn’t much of a seafood guy, so I was pretty surprised when he chose a cod risotto over the various meat dishes offered. It must have been pretty delicious since he actually liked it. Visually speaking, the pieces of cod had a nice golden coatings and glistening centers. The rice was also cooked nicely. I’d actually recommend this dish. Grilled Tiger Prawns with Lemon Butter- My mom loves seafood but doesn’t have much of an appetite, so this light dish was the perfect option. 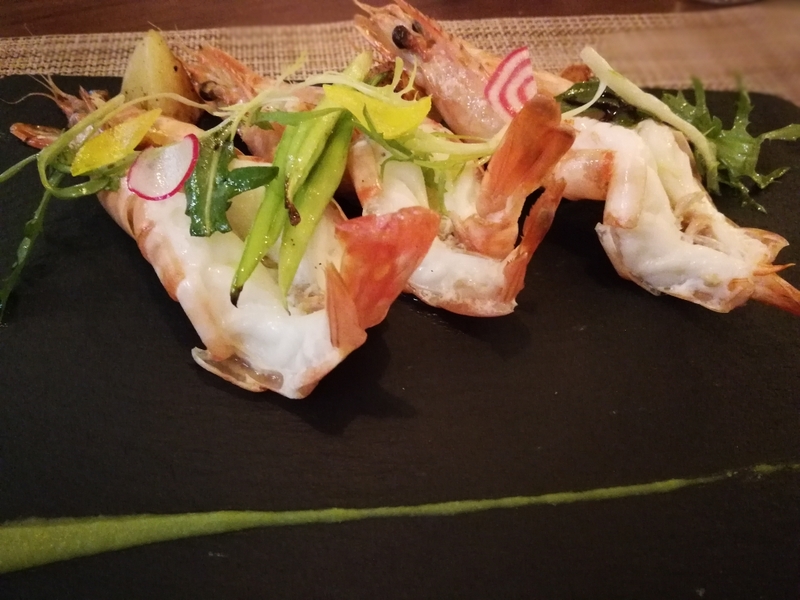 The prawns were quite fresh and grilled nicely, but honestly, it’s nothing special. Chocolate Volcano Cake- My mom and brother were hankering for some dessert, so I ordered this thinking it was a mistranslation of a chocolate lava cake. 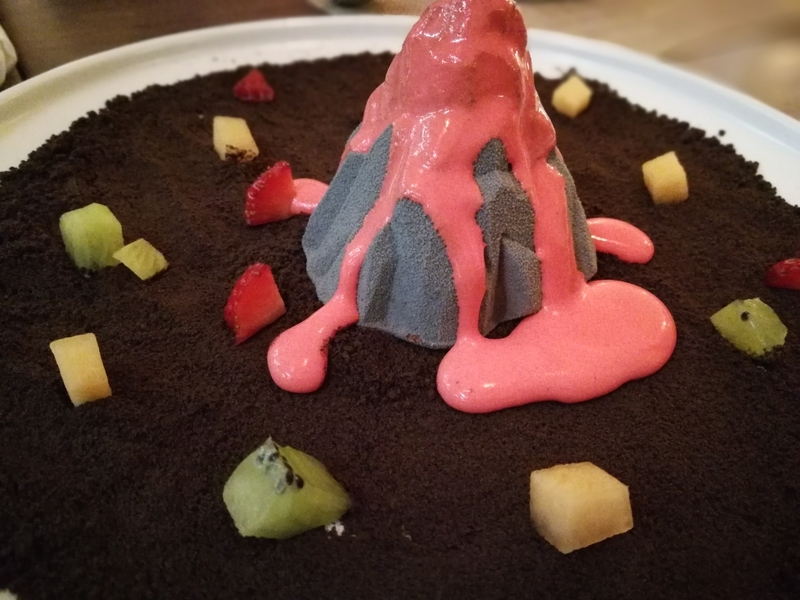 Turns out, their volcano was a literal volcano made of chocolate cake with an ice cream center. 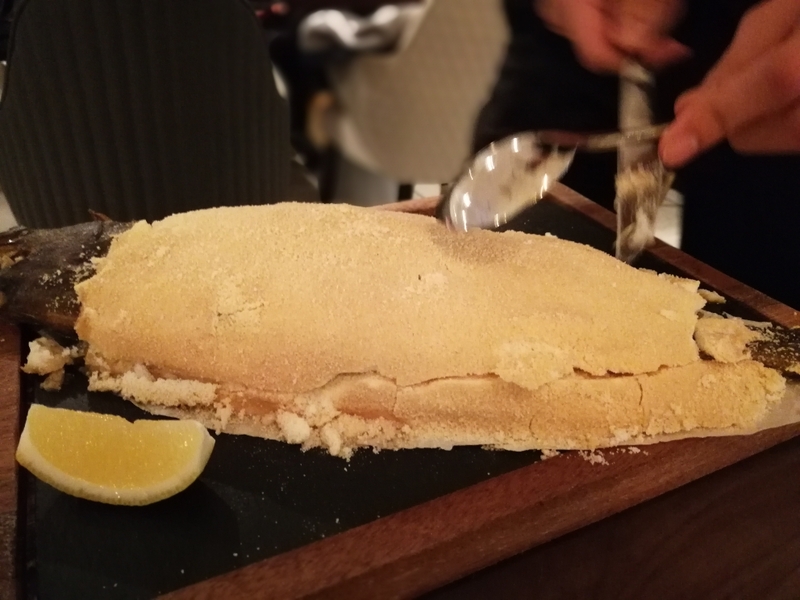 It sat on a “field” of bitter cake crumb “dirt” and the wait staff poured a strawberry cream “lava over the top. 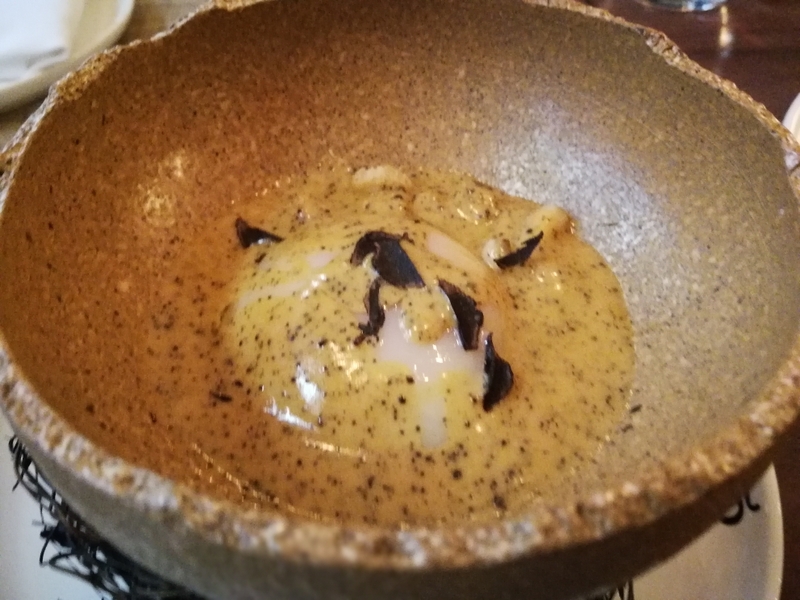 I found the dish extremely well composed. The cake itself wasn’t too sweet and held its own to the ice cream. The “lava” provided a nice fruity flavour and the bitter grainess of the dirt balanced out the sweet softness of the other elements. 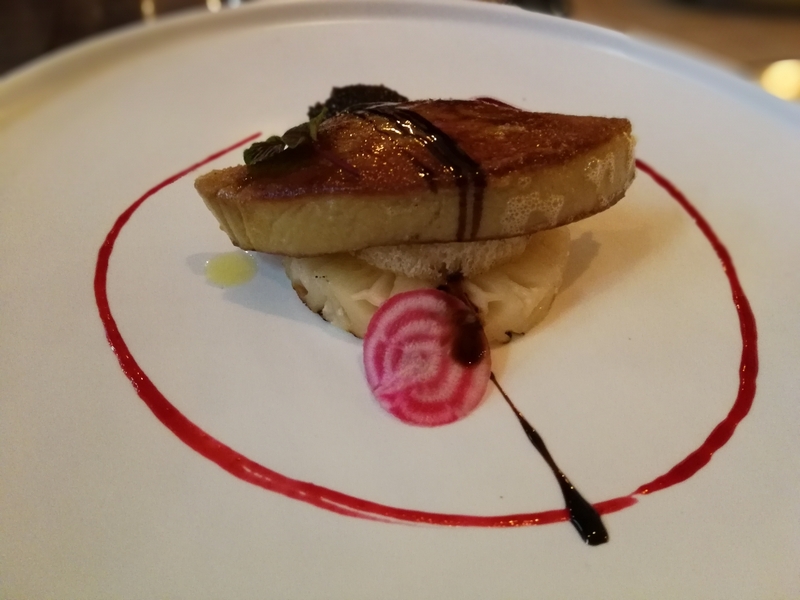 Note: While the food was expertly cooked, beautifully plated and delicious for the most part, the quality of the oil was a bit sketchy. We brought up a complaint so hopefully that is addressed. Terra Rossa’s atmosphere definitely lives up to its positioning as an upscale western restaurant. It’s location on the “roof garden” (there really isn’t a garden) separates it from the bustle of the busy mall, which creates a sort of quiet intimacy and elegance. The understated decour also enhanced the sense of simple elegance. Terra Rossa would be perfect for a nice date or small special occasion. Service matched the atmosphere for the most part. The wait staff were attentive, patient and obliging. Other than that, there wasn’t anything exceptional or worth noting. Overall, Terra Rossa was a solid- a lot better than I expected actually. 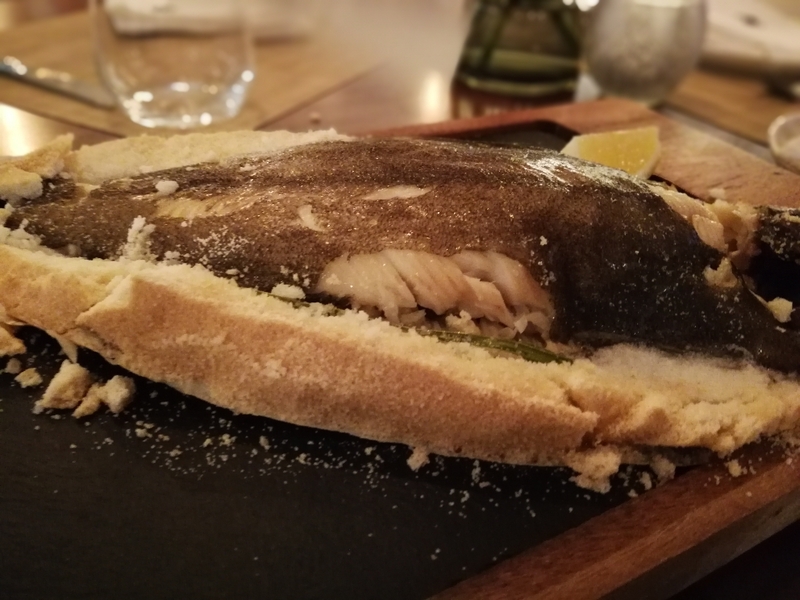 I probably won’t go back soon, but if the occasion rises, I could definitely use some more of that halibut.